When visiting a foreign country getting around town sometimes requires a lot of patience and luck. 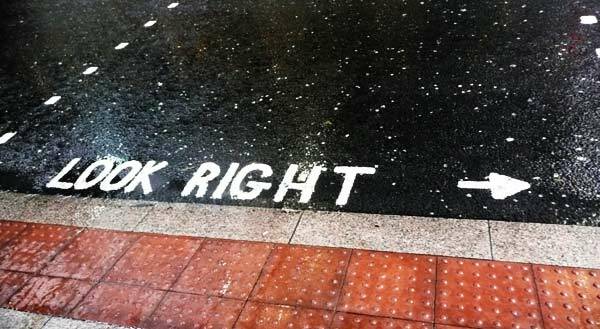 Fortunately language is not an issue in London, but that doesn’t mean getting from point a to point b is always easy. Most of our recent exploration of London was by way of our feet despite my saying previously that this was NOT going to be a major hiking trip. London is a fabulous city to walk through particularly when having ideal weather conditions of no rain and mild temperatures. In addition my friend Sande has one of the best directional senses. We managed to book almost 30 miles in a four-day period of roaming through Knightsbridge, Soho, Kensington, Mayfair, St. James, Notting Hill and more. However there were times, particularly at night or once when we were just simply exhausted, that we hailed a cab. I do have to give props to the licensed cabby drivers. Despite the traffic congestion one expects at this time of year, every service we flagged down was not only a skilled driver, but also really funny, so longer than expected routes flew by. I sometimes encounter blank faces when I let out my usual NYC sarcasm-infused patois, but I met my match with the taxi drivers we encountered – every one was quick with a quip, a flirt and a smile. 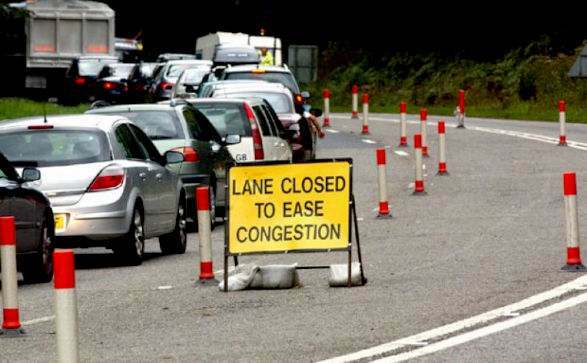 What made this even more amazing is that these fellows and ladies have to deal with some very frustrating “road improvements” recently made by the current London mayor. Although this is the busiest time of year in London – office holiday parties, tourists and the like, the mayor chose to implement bike lanes, thereby increasing rather than eliminating congestion. Sound familiar? Boris Johnson’s transport policies will fail to prevent huge increases in road traffic congestion across London in the coming years according to research by his own transport agency. But what are you supposed to do when you see this? 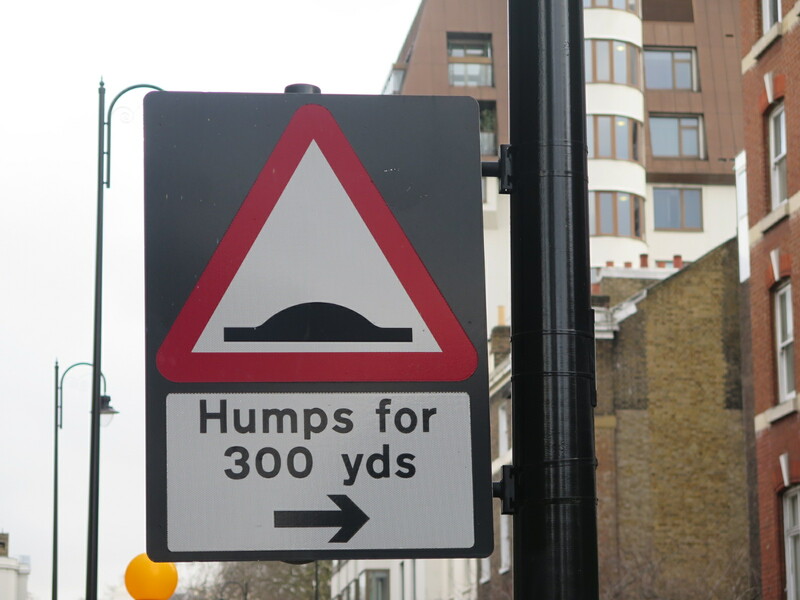 More on London’s silly signs in a moment. 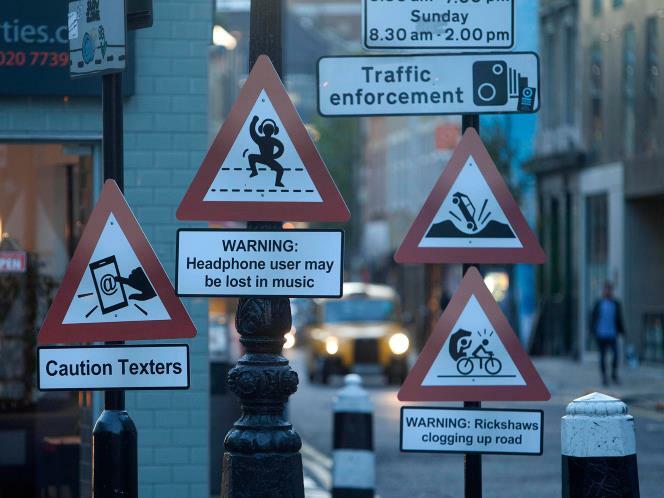 More importantly these notices beg the question: “Why the #$%^& do the Brits drive on the left hand side of the road? 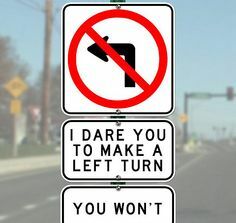 While the British actually passed a law reinforcing this left side driving, the rest of the world had a differing view. The French, for example moved to the right hand side by order of Napoleon who ordered an overall reordering of society when he came into power. Why? Napoleon wanted to keep his British enemies off guard so felt this tactical move would definitely be off-putting. Or, maybe he was left-handed. In any event, as the English and the French continued their colonization of the world, those areas conquered by the Brits stayed left and those won over by the French to the right. It was a downright mess in the Americas as both sides acquired some turf. Finally two vehicles caused a change. 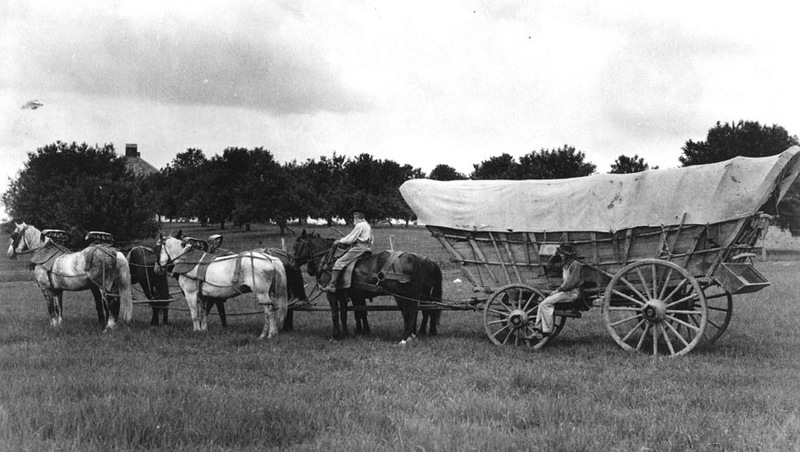 In the late 1700s freight wagons like the great Conestoga wagon became popular, particularly in America. These were pulled by groups of horses, arranged in pairs. 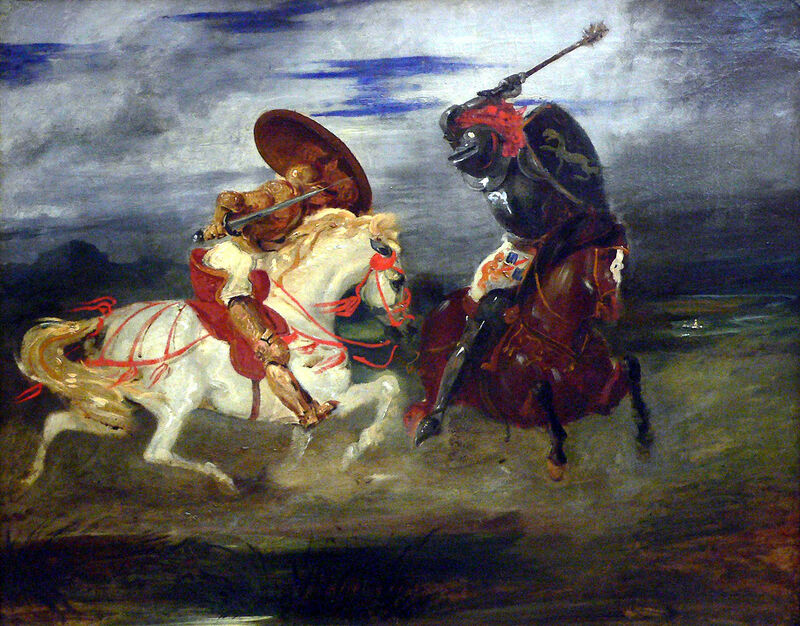 The driver needed to sit on the left so he could whip the horses with his right hand and in cases of a six-horse drawn wagon the driver would actually sit on the first horse on the left side. In order to pass another without accidentally banging wheels wagons needed to keep to the right hand side of the road. 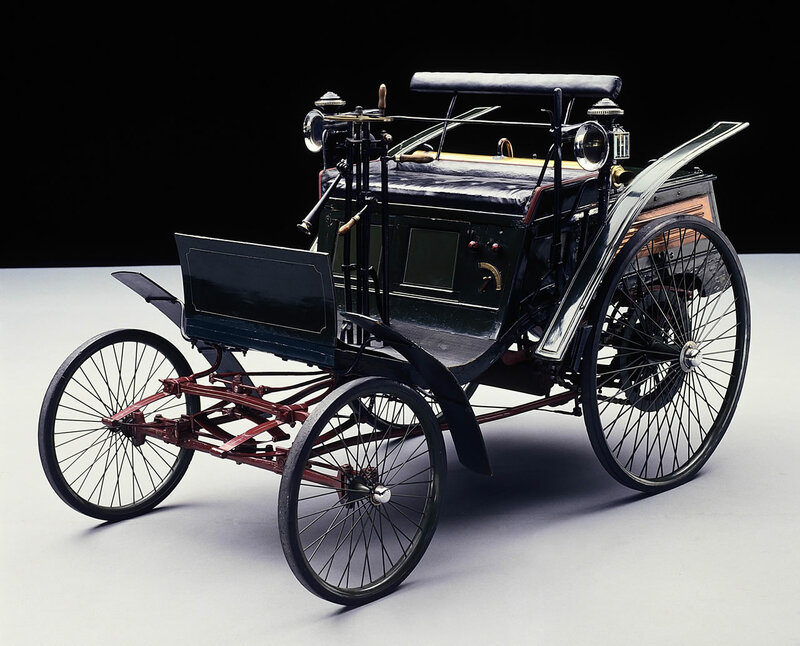 When motor cars originally arrived the driver actually sat in the center of the vehicle, but as seeing down the middle of the road seemed most advantageous, the driver’s seat migrated. As car manufacturing became a major export for the US, the left-sided steering wheel became the worldwide norm. This one gave me a strong aura of Deja vu – my readers will recall my retelling of my nightmarish encounter with jug handles in Italy. More of our London exploits in two weeks, after my year-end wrap-up. 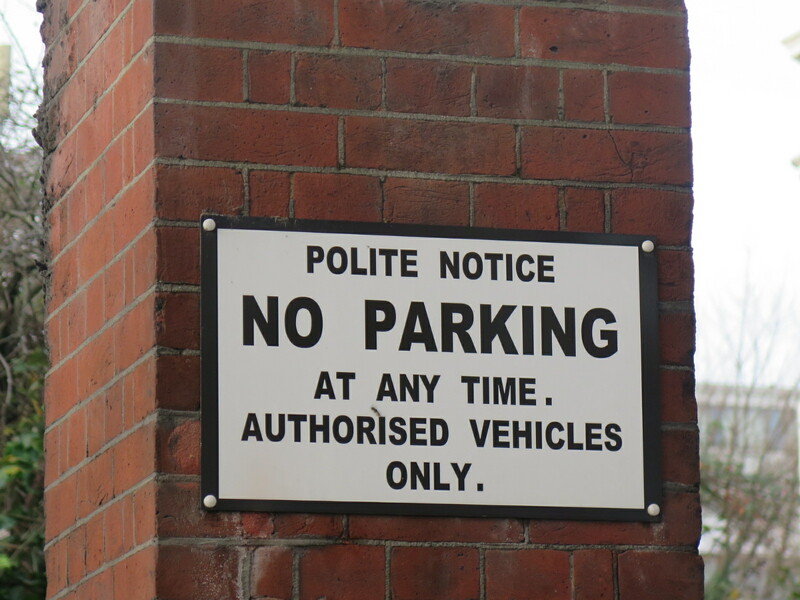 This entry was tagged BRITISH HOSPITALITY, ENGLAND, Humor, LONDON, PHOTOGRAPHY, Sarcasm, Traffic, TRAVEL. Bookmark the permalink. 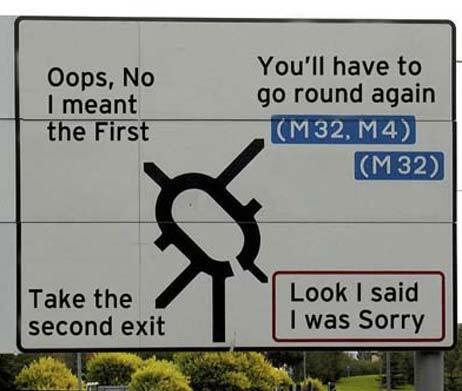 a great adventure and who knew why the Brits drive on the right side, oops on the left LOL. 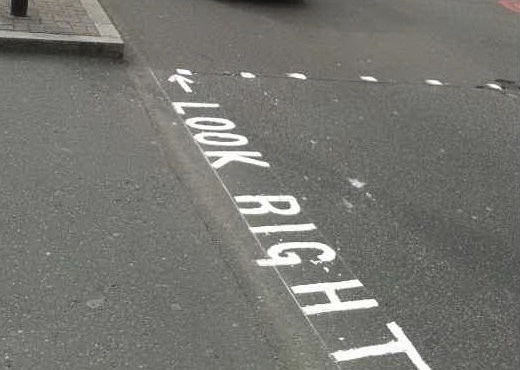 At some point one would think that everyone would have just aligned. Loved the Taxi drivers. They’re being over run by Uber. Cabs are about 25,000, uber cars 80,000+. And I didn’t have to make up any stories for this – all true!